According to Giving USA: The Annual Report on Philanthropy for the Year 2016 (2017), Americans gave a record-breaking $390.05 billion, 2.1% of our nation’s GDP, to charitable organizations in 2016. Of this amount, individuals gave $281.86 billion (72%), foundations gave $59.28 billion (15%), and corporations gave $18.55 billion (5%), while charitable bequests totaled $30.36 billion (8%). This report also cited statistics indicating that more than 91% of high-net-worth households gave to charity in 2015, with over half giving to more than five organizations. Without question, our nation’s generosity is staggering. Knowing our clients as I do, I am betting that you are one of these generous Americans. At Westwood, we believe in giving back with our time and money, too. It is an important part of our corporate culture. But my question to you is: Are you charitable or philanthropic? Just as we ask our clients, “What are your financial goals?” to help guide our recommendations related to your asset allocation and investments, determining if you are charitable or philanthropic helps shape our advice related to your charitable giving. So, what is the difference between being charitable and being philanthropic, and why does it matter? 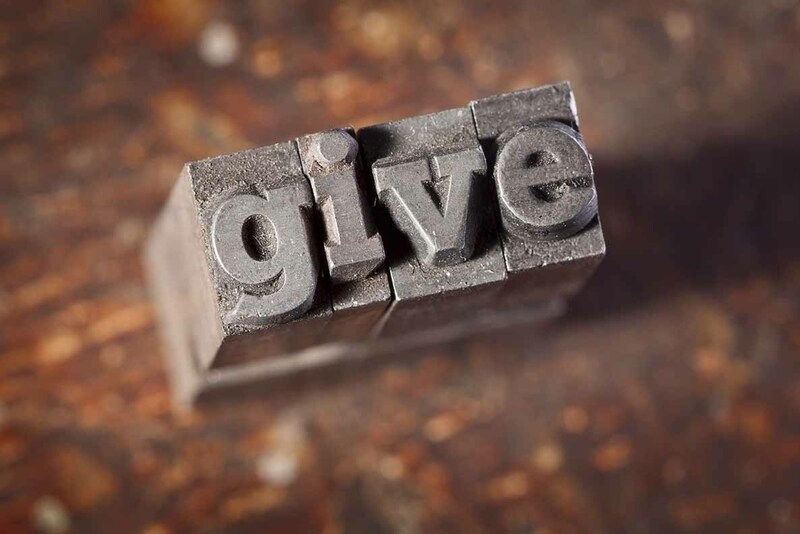 At the macro-level, charitable and philanthropic donors share the same charitable impulse or motivation: a concern for and a desire to help make life better for others. While every donor has different charitable interests (e.g., education, health care, arts and culture, environment, etc. ), every donor I have encountered hopes their gift(s) will make a positive difference. The difference, though, lies in their approach to giving as well as the methods they use to achieve their goals. When donors engage in charitable giving, they generally do so to address an immediate need without expectation of ongoing engagement. For example, when you contribute to your alma mater’s annual fund, donate to a charity event or make an offering to your place of worship, your gifts, generally speaking, are used to sustain the daily operations of these tax-exempt organizations. While these contributions are of great importance to the sustenance of these organizations, many charities would have to close without them — they are tactical or short-term in nature. Philanthropic giving is far more strategic. It involves deep consideration of the totality of the charity’s mission and purpose. By its very nature, philanthropic giving is focused on addressing the root cause of an underlying problem. For this reason, most philanthropists I know have chosen one or a handful of causes where they can focus their giving to eradicate a social problem, cure a disease or build an institution that will serve their community for multiple generations. Because of the long-term nature of their giving, these philanthropists often create foundations to carry on their philanthropic work beyond their own lifetime. I encourage you to consider what type of donor you are and to share this information with your Westwood advisor. As always, we want to understand your values so we can advise you on how to have the influence and achieve the legacy you desire.